James Flames will release a brand new art print, plus a new concert poster, later today. 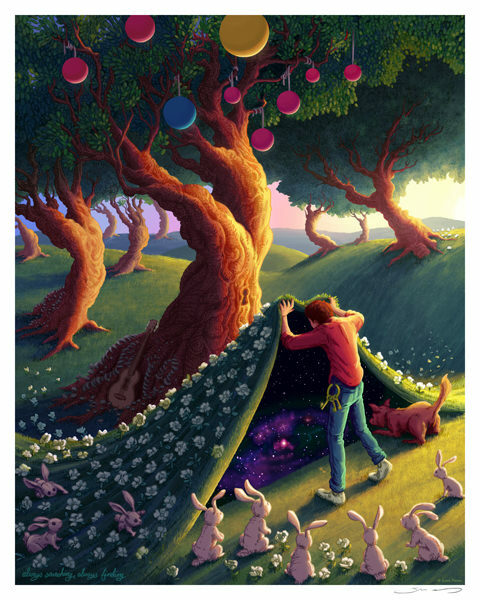 “Always Searching, Always Finding” is a 16″ x 20″ giclee and is yet unpriced. 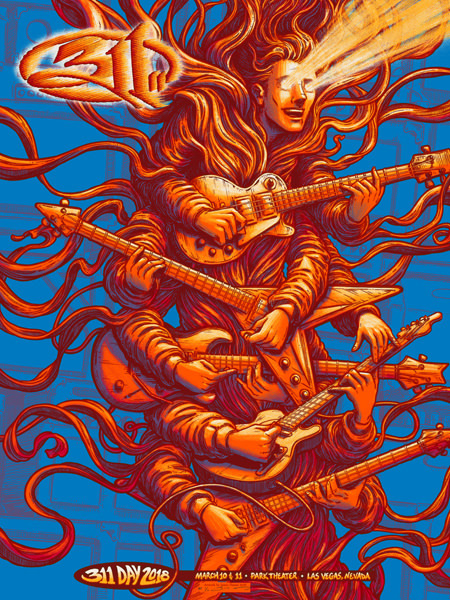 His new poster for 311 is an 18″ x 24″ screenprint, has an artist edition of 31, and is also yet unpriced. These go up today (Tuesday, March 27th) at 2pm Eastern Time. Visit JamesFlames.com.